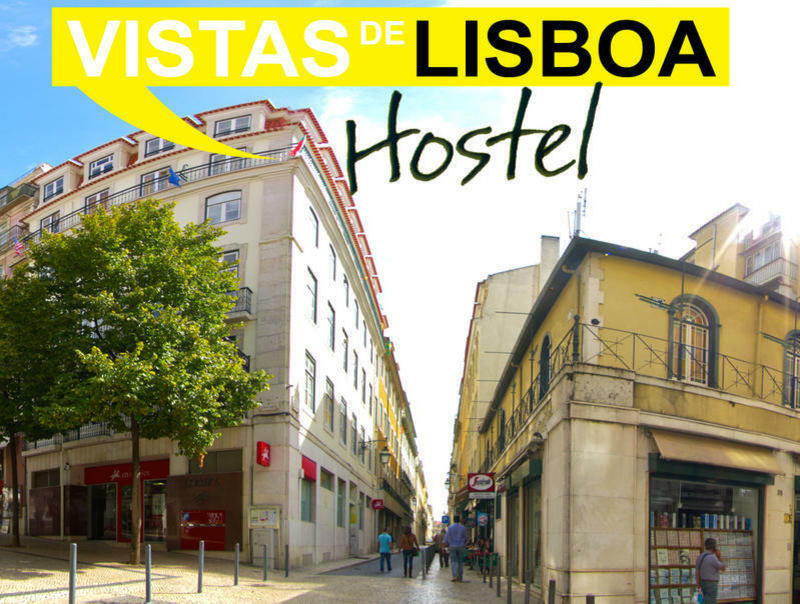 Located in the heart of Lisbon our hostel is newly refurbished (May of 2013). All the rooms in Vistas de Lisboa capture natural light and are well equipped. We are surrounded by amazing historical buildings. Vistas de Lisboa is open every day. This is a very cheap and modern Hostel created for travelers that need a place to stay and want to have access to all that Lisbon has to offer. Our staffs are all well trained, young and entertainers to make your stay fun & memorable. They all are available to advise you on the top places to visit, as well as the finest bars and restaurants. In our hostel we have shared dormitories with 6 and 8 beds and a shared bathroom. We have double rooms with a shared bathroom. Most of the rooms have access to our balcony for city view. In each rooms there are lockers, bedsits and an extra blanket can be required at the reception if you wish. Benefiting from a unique and privileged location in the monumental and museum centre of Lisbon, Vistas de Lisboa is an ideal starting point to explore the culture, the history, the architecture, and in a relaxed way, the soul and the identity of the city. And if you wish we can help you arrange your trip or/and provide a guide tour for any visiting places around us. There are several inexpensive professional transport services available, with prices comparable to a taxi. Of course, taxis are also a fast way to reach the city center. They are lined up outside the terminals, and even with luggage, it should cost you between 10 and 15 Euros. Several buses also stop right outside the arrivals terminal, and if you don't have large luggage, you can take bus 744 that runs past the major avenues uptown and ends up in the old city center. Those with lots of luggage should perhaps take the AeroBus which runs between the airport and the city center. A ticket may be purchased directly from the driver and currently stands at €3.50. They run every 20 to 30 minutes and stop at important points in the city such as Entrecampos, Campo Pequeno, Av.da Liberdade, Restauradores, Rossio, Praça do Comércio and Cais do Sodré . On board, there are screens showing each stop as the bus approaches the area. Make sure to exit on the right stop, Rossio.